The Datalogic QuickScan I QD2100 is the ideal introductory model of linear imagers, as it is designed for universal use in commerce and document management. Furthermore, it is suitable for applications in express mail and the postal service. 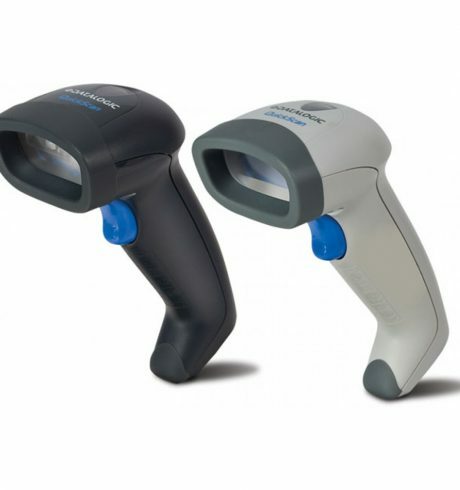 Due to its ergonomic design, its low weight, and its small and handy size, the scanner is ideal for daily use. The QuickScan I has a high resolution of up to 4 mils. Thus, the linear imager reads a large range of codes, including most of the 1D-codes, as well as linear GS1 DataBar codes. The QuickScan I is equipped with the »Green Spot« patented by Datalogic, a positive reading confirmation directly on the code. The latter remains active in presentation mode, showing the user the optimal positioning for a fast and intuitive scan. The Datalogic QuickScan I is designed for long-term use. If necessary, simply replace a scratched scan window with a new one (optional). The Aladdin configuration programme of Datalogic, which is included in the scope of delivery, offers user-friendly features that make the installation and start-up of the system very easy – even for inexperienced users. The Datalogic QuickScan I is equipped with all of the interfaces, such as USB, RS232 and keyboard wedge – all in one system. These features render it particularly flexible in terms of data transfer. Due to the optional gooseneck stand the reader can be used as a handheld or presentation scanner, an additional and handy feature. A large number of accessories offer flexibility with regard to the installation, tailored to specific needs.